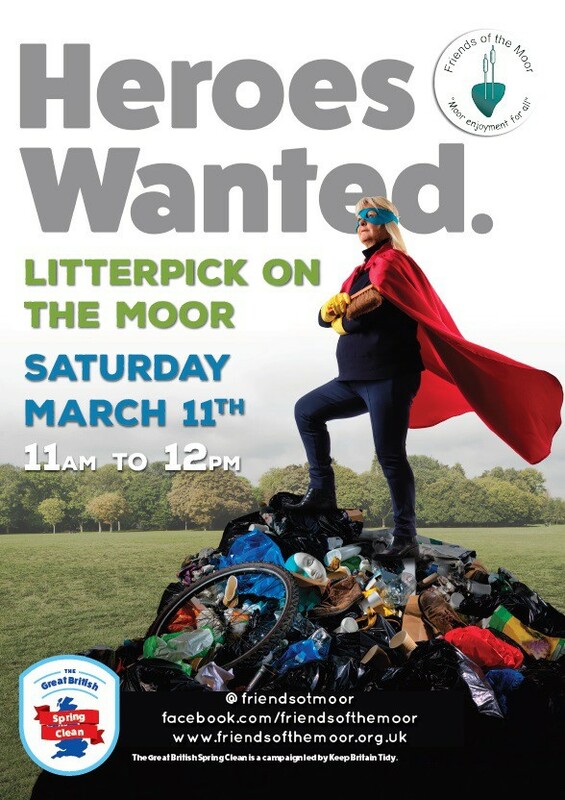 Friends of the Moor are holding a litter pick on the morning of 11th March 11am-12pm – all welcome. Can you spare a little time to help get the Moor clean and tidy? All help gratefully received. Be a local hero.